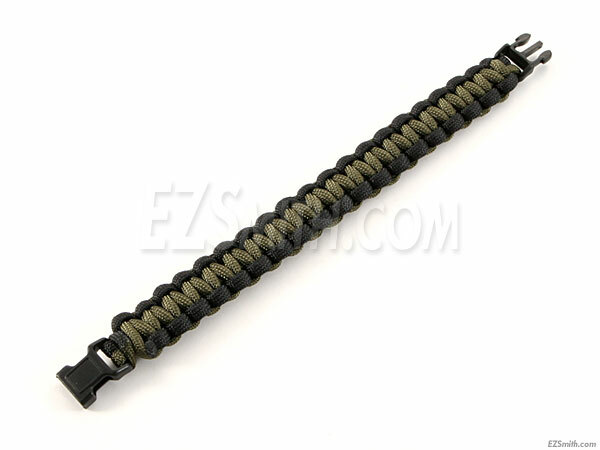 These are high-quality 550 Paracord Survival Bracelets. They are made with mil-spec 550 Paracord (strand inside) and are designed to be untied to produce a last-option 10' foot (approx.) 550 lb test strength survival cord. Not only are these a valuable survival accessory, but they are extremely fashionable and are worn by police, military and members of various security agencies. They are tied to sturdy PVC pinch-n-pull™ latches and are easy to remove with one hand. Don't be unprepared, or left without an option. 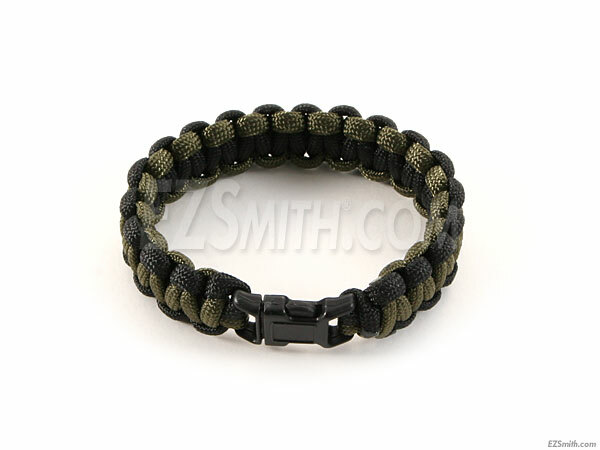 A survival bracelet is worth its weight in gold, if the time comes that your life depends on one.